Brian Jones, President, has been providing investment management and financial planning solutions to corporate executives and high net worth individuals for more than two decades. 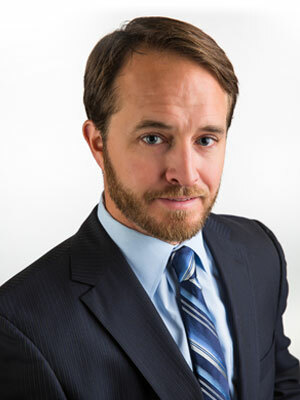 Brian focuses on providing comprehensive financial planning services that include investment management, company benefit analysis, risk management (life, disability, long-term care), wealth accumulation and distribution strategies. Through an extensive discovery process, Brian uncovers his clients’ goals, helps clients prioritize their concerns and provides strategies to help them reach their goals. His objective is to add value to each client with a particular focus on long-term investment strategies and asset protection. The ultimate distinction that Brian provides his clients is the ability to execute the financial plan. Prior to founding Jones Capital Advisors, LLC. Brian served in varying client advisory roles with AMG National Trust Bank, Ayco – A Goldman Sachs Company and Morgan Stanley Smith Barney. Brian received a Masters in Business Administration (MBA) from Monmouth University and a Bachelor of Arts (BA) in Philosophy from the University of Pittsburgh. Brian lives in Murphy, TX with his wife and three young children. In addition to spending time with his family at soccer or gymnastics, he enjoys bicycling, running, and traveling. © 2019 Copyright Jones Capital Advisors, LLC. All Rights Reserved.